Bollywood actor Shahid Kapoor has recently become a parent of the second child as his wife Mira Rajput has blessed with a baby boy. Their son was born on 5th September and since then the rumours and speculations about their son's name started coming on social media. However, today the proud father Shahid Kapoor has confirmed the name of his son and it is Zain Kapoor. Yes, Zain Kapoor is the younger brother of Misha Kapoor, elder daughter of Shahid and Mira Rajput. 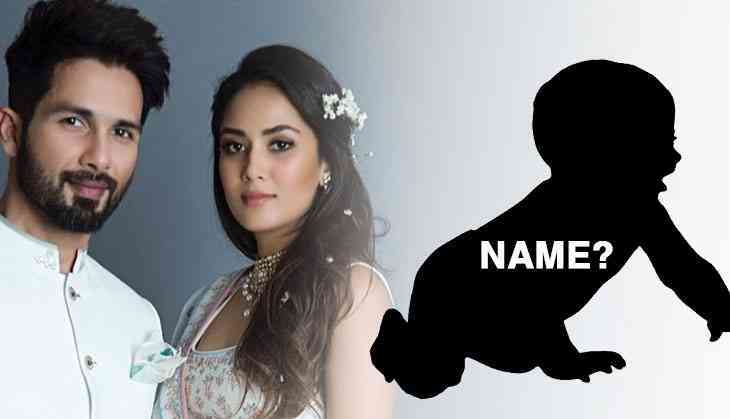 Reports are that this time Shahid Kapoor's wife Mira Rajput has finalized the name of their son. This is to notice that Shahid Kapoor and Mira Rajput have already a proud parent of their elder daughter Misha Kapoor. Shahid Kapoor married to Mira Rajput in 2015, and they were blessed with a daughter in 2016. Just after two years of their daughter, they were blessed with a son in 2018. On the professional front, Shahid Kapoor will be busy in the promotions of his next film Batti Gul Meter Chalu starring alongside Shraddha Kapoor and Yami Gautam. After that, he will also start the shooting of next project Arjun Reddy remake in October.